MBTA: Norfolk is accessible through the Franklin Line of the Commuter Rail at Boston’s South Station. The rural town of Norfolk is located a little over 20 miles southwest of Boston. 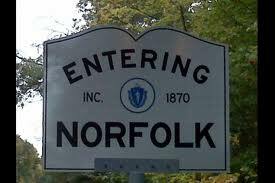 Incorporated in 1870 after being abandoned during King Philip’s War, Norfolk was known for strong agricultural lands. The town experienced a rapid increase in population after a prison and hospital were built in town in 1925. In 2014, this picturesque town was used as the filming location of Ted 2 starring Mark Wahlberg and Seth MacFarlane.